Imagine the spike in productivity if each of your employees is empowered with a knowledgeable and personalized assistant at no further resource cost. With the proliferation and high adoption of chatbots, this is no longer fiction; it is a living reality. Learning and Development department part Human resources (HR) is one area ripe for intelligent automation within an enterprise. LnD managers can experience an ideal vision of this era — realize a digitally, self-service and employee-driven environment supported by people representing the organization’s LnD function. Employee training has been a daunting task in the corporate world. Owing to the limited time availability of LnD team, modern chatbots offer a welcome change. Possessing the capability to deliver personalized and utility-based content, bots help in the segregation of information and consequently caters to the needs of the employees. 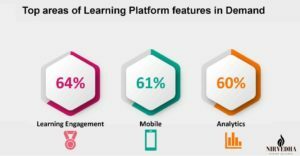 According to a study by Fosway Group on Digital Learning Realities Research and Learning Technologies; the top areas of learning platform features which are in demand are Learning Engagement, being mobile, and which offers learning Analytics. Successful LnD leaders are trying to make the learning experiences of their workforces as individualized as possible. Sales people have learned this lesson long ago—the more targeted your messages are, the higher the response rates. So why shouldn’t the LnD individually target the learners in the same way? Why shouldn’t LnD work to cater to each of the employee needs and develop a unique, personalized learning journey for each one of them? If LnD follows through, the results will exceed all expectations. Their employees will appreciate how much they care about their professional and personal growth, thus getting an intrinsic motivation to contribute to the company’s growth. Chatbots allows for the enhancement of the learning experience by providing apt resources and sending reminders about employee projects and training operations. Using various techniques chatbots collect employee feedback employing sentimental analysis which detects the mood of the employees. All these inputs help in boosting the efficiency and productivity of employees. According to a recent Forrester survey, roughly “85% of customer interactions within an enterprise will be with software robots in five years’ time” and “87% of CEOs are looking to expand their AI workforce” using AI bots. Employees often run through the long-cycle of time-consuming training sessions. A chatbot that is typically made available 24×7 allows employees to get trained in an agile mode and round the clock, adding flexibility to their work life. According to Vincent Han, founder and CEO of Mobile Coach, chatbots (A enterprise chatbot authorizing company) – which he describes as “a digital friend” – are also a great way to reinforce training. Chatbots, he says, are more engaging than emails, workbooks, and other traditional reinforcement tools. By having learners interact with chatbots periodically for an extended period after training, they can improve the retention and application of their new knowledge and skills. Perhaps more than any other arm of an organization, LnD teams must be effective communicators. Ineffective communication in work environments can lead to dissatisfaction and frustration. A recent poll from National Post showed 87% of workers felt their leaders were poor communicators. Target a major retail chain in the US implemented a chatbot to help keep learners accountable to the goals they made during workshops. Three-fourths of the learners who used the chatbot followed through on their post-training commitments, as opposed to only 55 percent of the learners who did not use the chatbot. LnD departments can increase their efficiency by outsourcing tedious tasks to chatbots and simultaneously devoting more attention to the complex, uniquely human issues that arise in every work setting. As artificial intelligence continues to improve, chatbots will become familiar co-workers, happy to help 24/7. It is no secret that the future is being built on the foundation of Chatbots. 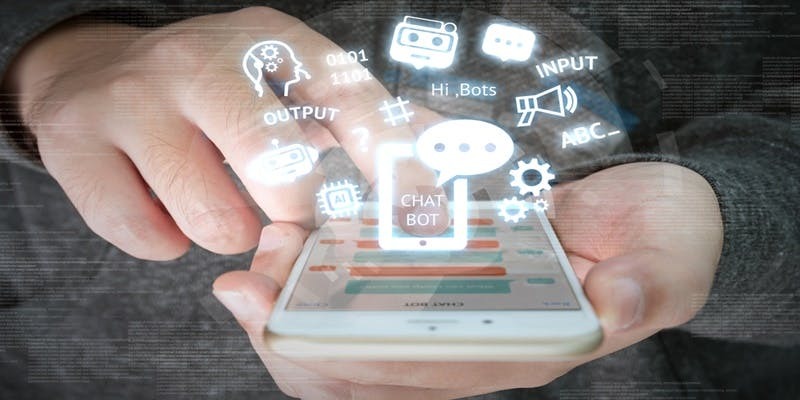 Incorporating AI chatbots into the working of the Learning and Development will undoubtedly help in boosting the efficiency of employees and enable them with the resources to enrich their learning experience and development process.